We have decided to let you in on 5 SEO secrets. 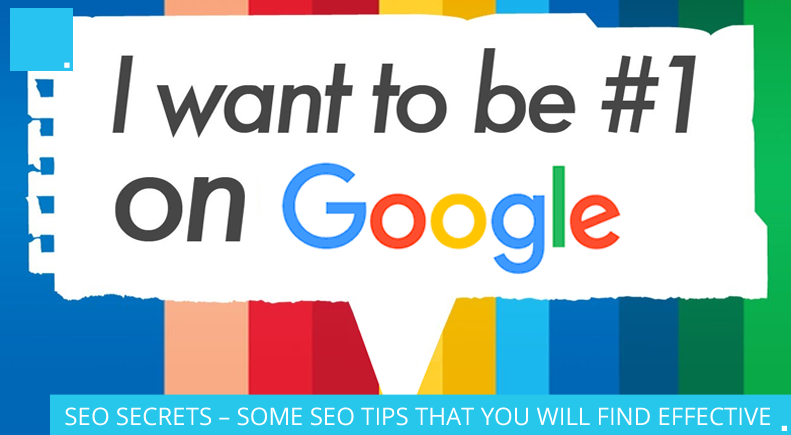 We know that being Number 1 on Google is important, but how important is it? 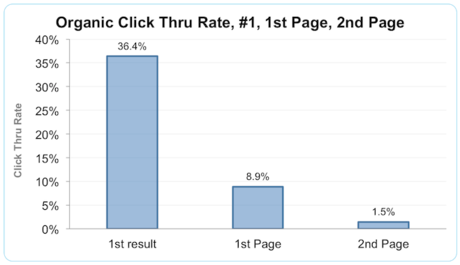 We have a couple of graphs below to show how many people would click through to your website at it’s current rankings. 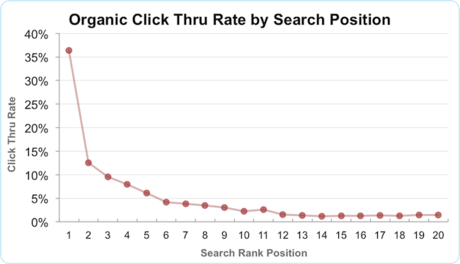 As you can see, if you’re after 3rd place on the first place of Google, your website will not be generating you money for the certain keywords people are searching you for as the top 3 gets 58.4% of all click through. The idea of the SEO secrets we are sharing below is to help boost your SEO potential to start getting more traffic to your website. Researching your keywords is the root of every SEO project. Keywords summarise what you do in a few words and phrases. When choosing these keywords, be specific. Never try to optimise your site for a single word instead, think of a string of words that accurately describe what your company does. Tip: Ask people you know to let you know what they would search for when looking for your company. We all know that optimisation is key when ensuring search engines rank your website high in their results. Although, in order for optimisation to work, the content on your site needs to be amazing and unique. Content can refer to a variety of things on your website such as the text your homepage, blog posts, videos, podcasts etc. Make your content so people would come back time and time again to read it, as well as making it accurate. Tip: Focus on creating interesting and valuable content rather than forcing as many keywords into your content. This may result in Google penalising you. Now that you have produced some content for your website, you need to start getting links back to that content. There are various ways of doing this but some are better than others. The best way to obtain authentic, high quality links is by creating connections with other websites. Old techniques such as paying for links, spamming forums or placing links on directories do not work. Tip: Link building doesn’t happen over night. It takes months of hard work, so making sure you plan your strategy according is key. SEO experts noticed that in 2012, social signals, such as a retweet on Twitter or a like on Facebook, affects Google rankings. While social signals won’t work well on their own, they are definitely an important factor to consider when you create your strategy of optimisation. This is all very time consuming and takes more skill than you may think, so it is best to hire out a Digital Agency to manage your Social Media for you to manage your different channels and help improve your strategy. Tip: Some businesses naturally do better on some networks, but get little from others. Without measuring your optimisation strategy, you will never really know whether your time and money are paying off. If you track and measure this from the beginning, you can continue to grow and improve. The main tool people use is Google Analytics. This is really the bare minimum for measuring your optimisation strategy as it doesn’t always give you a complete picture of what’s going on. There are however, plenty of other free SEO analytics tools out there. Tip: Let your analytics tool build data for a month before you start changing anything and don’t change too many things at once. The important thing to remember from this is that becoming Number 1, like in most things, does not happen over night. It takes a few weeks to start seeing any change and months to reach the top of Google for certain keywords and phrases. The best way is to create a 6 month SEO strategy and to measure the growth after this. If you need help with any of this, then CDP, your SEO Agency in Sheffield can help. Send an email with your details over to jcoughlan@cdpcreative.com and we’ll call you back and discuss how we can provide you with support, advice and a partner to help grow your business. Is WordPress for websites the way forward? What are the different #‎Hours on Twitter? Shocking? 80% of SMB’s do not link their social! Leading Digital Marketing Agency serving Sheffield, Doncaster, Barnsley, Rotherham, Yorkshire and UK, providing Web Design, Web Development, Mobile Websites, E‑Commerce Solutions, SEO, Social Networking, Print, Branding and Marketing Services.